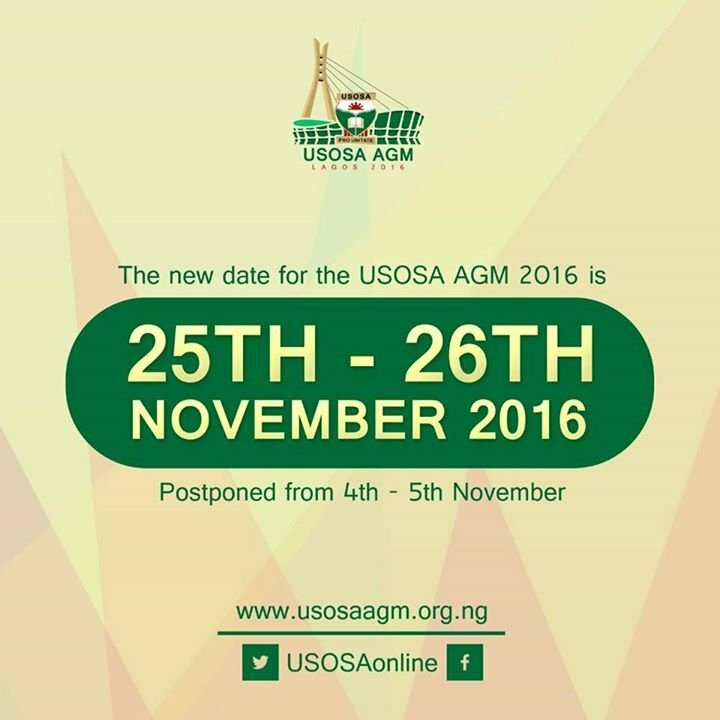 The Unity Schools Old Students’ Association (USOSA) is the incorporated Trustee of the alumni Associations of all the 104 Federal Government Colleges in Nigeria. It is an association with over 1,000,000 members from every ward, village, district, emirate, community, ethnic or language group, constituency, LGA, state, vocation, profession, occupation resident in Nigeria and in the Diaspora, some of whom are Nigeria’s most influential leaders in government, academia, the professions, including the traditional institutions are alumni of these colleges. This year, about One Thousand (1000) alumni are expected to attend the AGM where important issues on education, national unity and security will discussed. The AGM Planning Committee Chairman Frank Nweke II is pleased to invite you to this August gathering of the finest and most enlightened Nigerians ..
We are USOSA, We Are Nigeria. Prounitate.